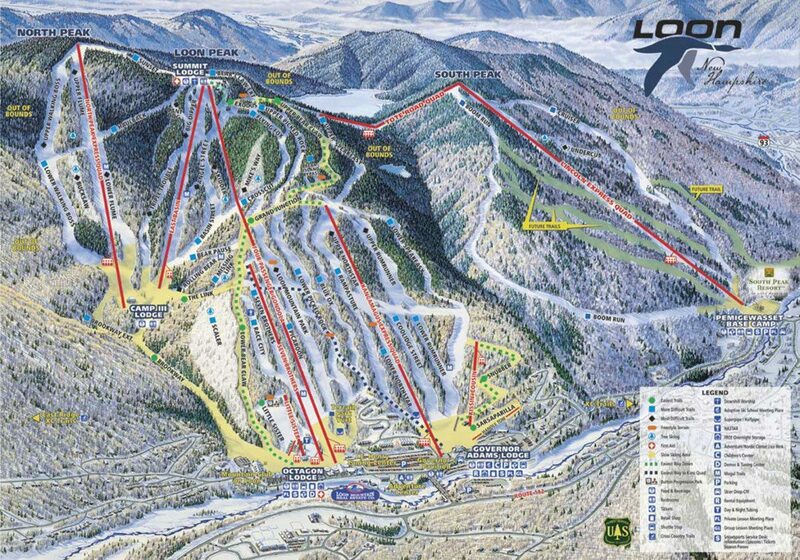 Due to the low number of registrants, the trip to Loon Mtn has been cancelled. Please consider joining us on our next day trip to Stratton Mtn March 10th, 2019! Join Foxy Travel with your Family and Friends for a day at Loon Mountain on Saturday, February 2nd, 2019! With 2,100′ vertical, a wide variety of terrain, and a full progression of award-winning terrain parks across three peaks, Loon Mountain is the perfect spot for your New Hampshire ski trip. In addition to skiing and snowboarding, Loon offers a host of off-slope winter outdoor activities. Take in the beautiful winter landscape at your own pace with snow tubing, snowshoeing, cross-country skiing, or a thrilling zipline ride over the frozen Pemigewasset River.